The Charles K. Chiplin Memorial Endowed book award is an initiative of University College to honor Dr. Charles Kinnard Chiplin "JSU's Native Son". In April 2012, Jackson State University lost one of its greatest champions. The passing of Dr. Charles Kinnard Chiplin, a man known by many members of our community as “JSU’s Native Son,” continues to leave a tremendous void in our hearts and minds. The lives he touched will be forever changed because of his instructive nature, gentle spirit and genuine love for mankind. To honor his life and legacy, you are invited to give to the Dr. Charles K. Chiplin Memorial Endowed Book Award. Contributions may also be mailed to the Jackson State University, JSU Box 18240, Jackson, Mississippi 39217. 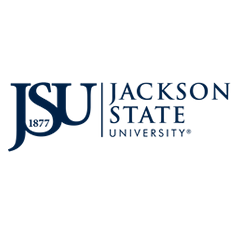 Make checks payable to the JSU Development Foundation. Every single gift—no matter the size—will be earmarked entirely for students in need of financial support to afford their books and to realize their educational dreams.